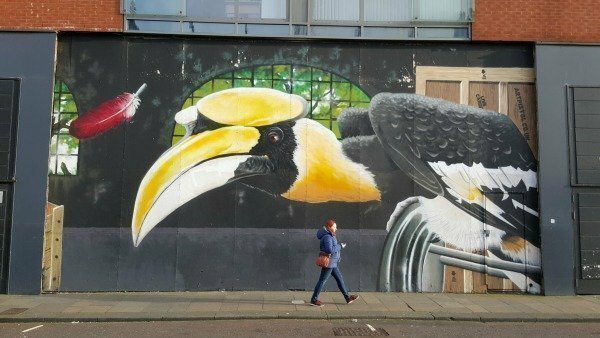 Glasgow city centre is full of wonderful street art, most of it commissioned in the last 10 years by the City Council in a bid to liven up vacant lots and ugly blank walls. 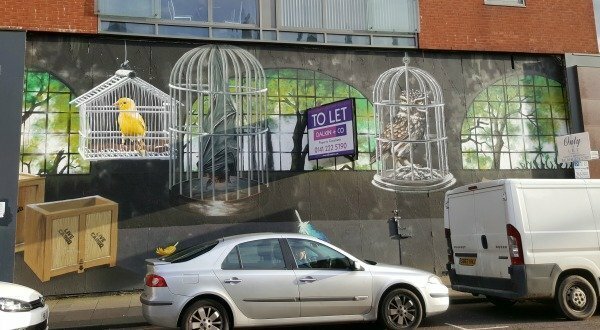 The idea has been to engage street artists to produce vibrant colourful works of art to help regenerate the city centre for the benefit of residents, businesses and visitors alike. And it seems to have been a huge success as every year more murals are added to the area in what has now become the very popular Glasgow Mural Trail. 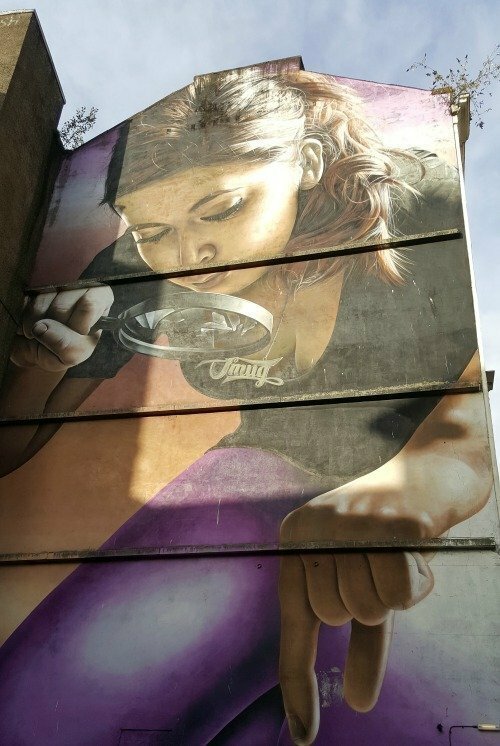 I love street art and find exploring a city through its murals a great way to get under the skin of the place. So with a free hour or so on a sunny afternoon, armed with a downloaded map of the trail, we set out en famille to discover parts of Glasgow we might not necessarily have seen otherwise. 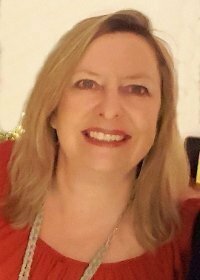 Dr Connolly, I Presume? 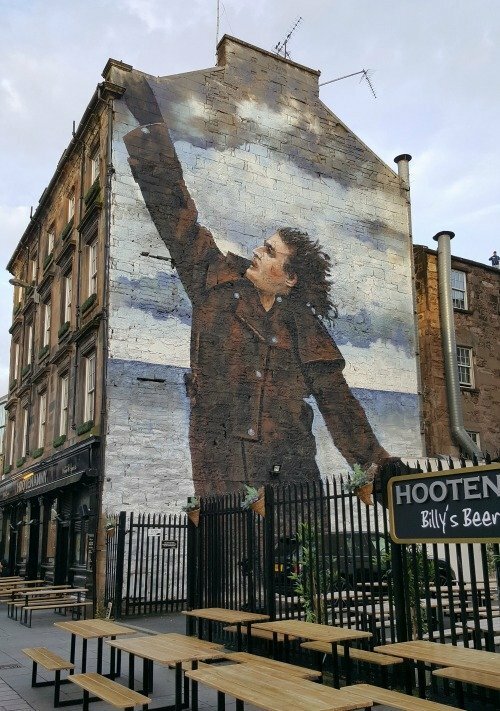 By Rogue-One one of three murals commissioned by BBC Scotland in 2017 to celebrate Glasgow’s most famous son, Billy Connolly’s 75th birthday. 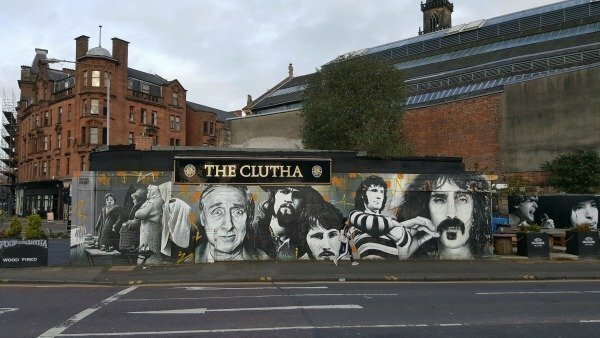 Famous Faces – Clutha by Rogue-One, EJEK and Art Pistol picturing the history of the area and famous personalities who have performed at this well-known music pub. We didn’t manage to see all the murals, in fact I think we found just under half in the time we had. 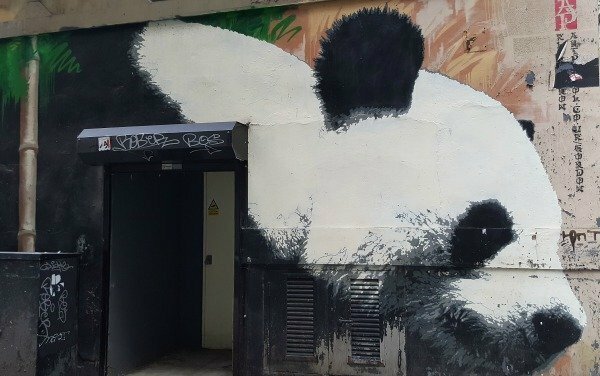 According to the map (when we were in Glasgow in October 2017) there were 23 but new ones are created and sometimes old ones are destroyed so this number may change. By its very nature street art is ephemeral, individual works can wear out, be added to, adapted, or even removed which means that when I go back to look for more, even these ones might have changed. 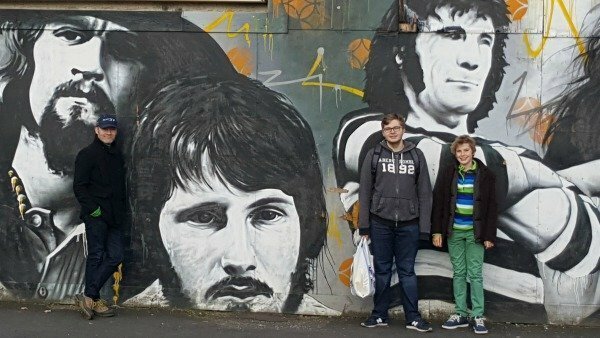 I will go back to look for the rest without a doubt as the Teen now lives in Glasgow and it is fast becoming a favourite city destination. 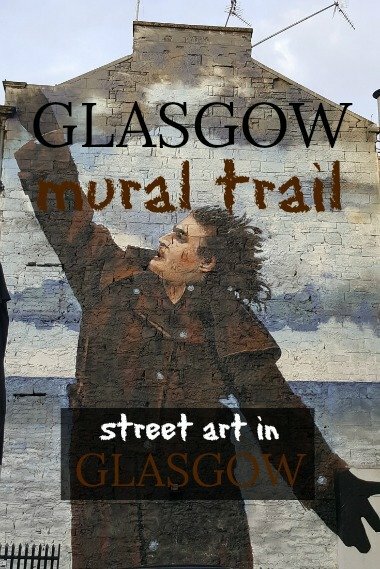 If you’d like to walk the Glasgow Mural Trail or just find out the locations of individual murals you can check out the website and map here. Do you like street art? Which one is your favourite? It’s a hard choice but I think I like the taxi best. 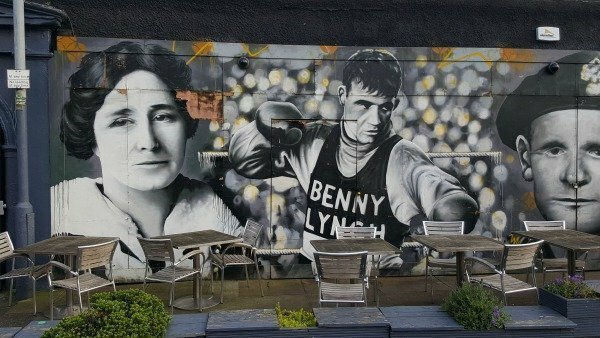 I love street art and am always on the look out for it in London but didn’t realise there was so much in Glasgow. Just gorgeous, bold too. 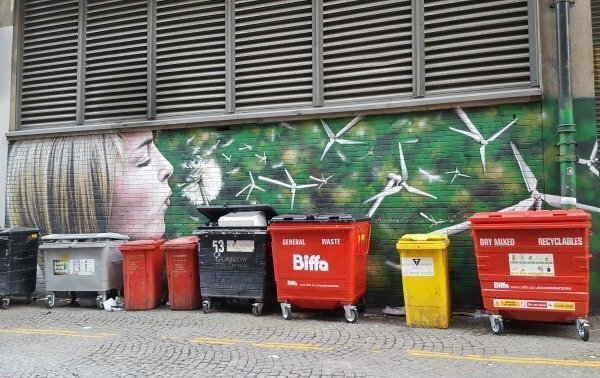 Even with rubbish bins in front of it the dandelion mural is just fantastic. 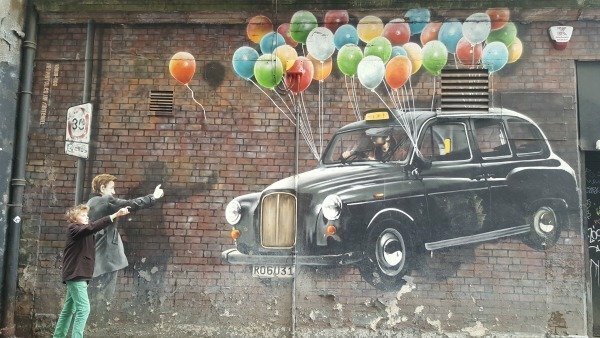 The taxi with the balloons and the two lads hailing it is my favourite. I went to Glasgow (and Edinburgh) for the first time, this summer. 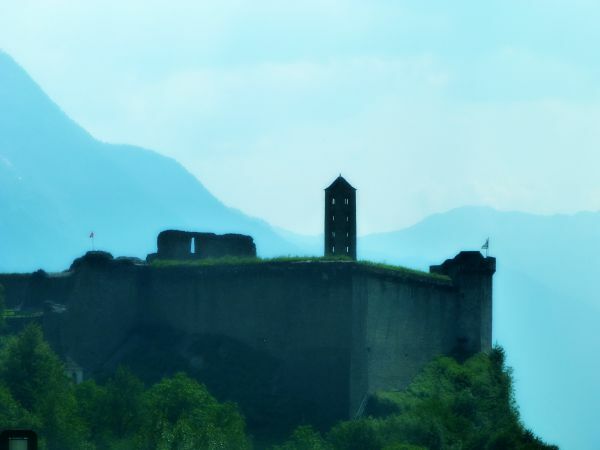 I fell in love with both cities and intend to return for longer. The art trail will definitely be on my list of things to do. Great post! I love street art. I am saving this post in case we ever get to Glasgow. 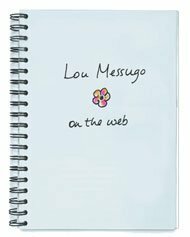 I forgot to add #FarawayFiles !! This is great. 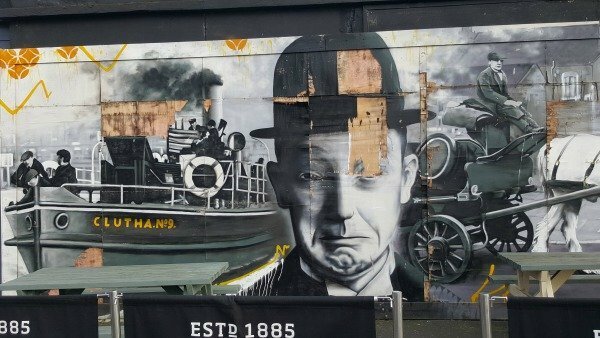 I wasn’t aware of the Glasgow Mural Trail. I visited Glasgow a few times about 3 years ago with a job I was doing at the time. I was so pleasantly surprised by what a vibrant city it was. That’s so cool! 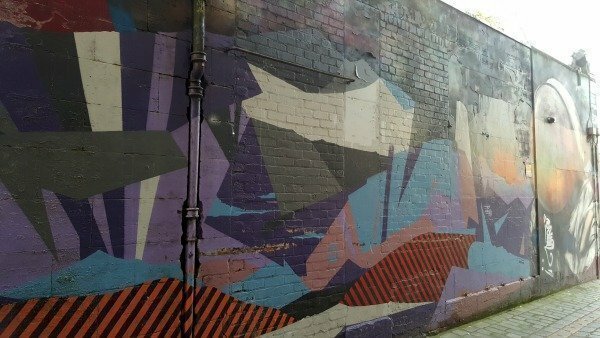 I had no idea there was a mural trail with an app! I’ll have to check it out next time I’m in Glasgow! Glasgow used to be well known for its dour grimness. It’s good to see that it has so completely changed. 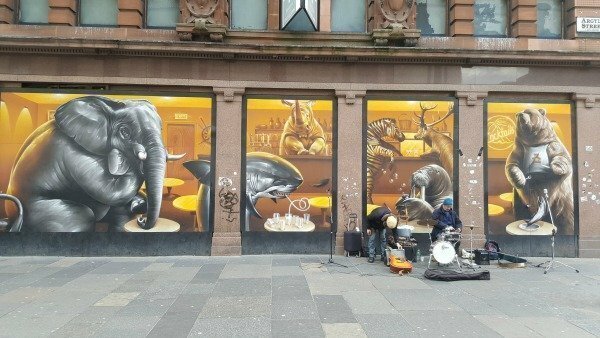 I honestly had no idea that Glasgow was home to so much street art! It’s all stunning with so much detail! Glasgow has been on my list for a while, exactly for this reason. I love street art!